Four and half years ago I bought my second digital camera, the Canon 300d. At this time the 300d was already a year and a half old, and along with the Nikon D70 was one of the first quality, "low cost" entry level DSLRs. The 300d impressed me greatly, previously I had been using a 4MP point and shoot wich I had grown to loath. The SLR brought so much to the table, fast focusing, low light shooting. Paired with my favorite lens the Canon 50mm f1.4 I could shoot in low light environments, and really isolate my subject. Almost everything I loathed about the point and shoot was resolved with the DSLR. Over time I acquired a number of lenses. When I bought the camera I also acquired the kit lens. 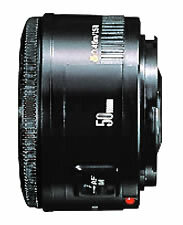 Later I would buy the Canon 50mm 1.8 II , then the Canon 20mm f2.8 then upgrading my 50mm to the Canon 50mm 1.4. Finally I purchased a Sigma 70-300 f4.0-5.6. Each lens had its own personality its own feel. The 50mm was by far my favorite. So much so in fact that I eventually upgraded to the faster f1.4. On the APS sized sensor of the 300d, the 50mm lens acts as a short portraiture lens. I dragged that camera and lenses all over the world with me, twice to Germany and the Netherlands, and earlier this year to the United States and Canada. 1) My new camera should offer superior low light capabilities compared to the 300d. 2) My new camera should be more compact and lighter then the 300d. Initially my mind went to the new Canon 5d Mark II. This camera has vastly superior low light capabilities. The weight would be an issue still, so replacing my 20mm and 50mm primes with high quality 24-70mm lens seemed like it might do the trick. But when the E-P1 was announced I new I had found a winner. The high ISO range may not have the quality of the Canon 5d, but the E-P1 has 4 stops of image stabilization built into the sensor, available for all lenses. Another option I considered was getting one of the top of the line point and shoot cameras, either the Canon G10 or the Lumix LX3. Both these cameras would offer image quality better then what I have now, and offer image stabilization. However they both fall apart from iso 400 onwards, and I really want better low light photography. The smaller size would be delicious but is offset by the restriction of not having interchangeable lenses. I think the E-P1 is small enough for my needs balancing image quality against size. It's not just the E-P1 which is compact though, the Micro Four Thirds lenses are small to. Small lenses, a compact body, strong low light capabilities, this seems like a dream camera. I will write a review when I get my hands on it.